Definition of a Trade. The term “trade” means the international exchange of items between the United States and the treaty country pursuant to 22 CFR §41.51(h). The exchange must be traceable and identifiable, and title to the trade item must pass from one treaty party to the other. Existing Trade. The above definition clearly requires the presence of existing trade. The alien must document pre-existing transactions or successfully negotiated contracts. International Trade. The above definition of trade requires an international exchange for consideration between the United States and the treaty country. For example, a treaty trader produces sweaters in Canada for sale in the United States. Substantial Trade. According to 22 CFR §41.51(j) the term “substantial trade” includes the quantum of trade sufficient to ensure a continuous flow of goods between the United States and the treaty country. This continuous flow assumes numerous exchanges over time rather than a single transaction, regardless of the monetary value. Although the monetary value of the trade item being exchanged is a relevant consideration, greater weight is given to more numerous exchanges than to trade of larger value. Large companies involved in international transactions with high values usually do not have problems in demonstrating that their trade is substantial. However, for small companies, USCIS considers trade to be substantial if it generates enough income to support the treaty trader and his family. During the visa process, the consulates consider the conditions in the treaty country that may affect the alien’s ability to carry on substantial trade. For example, currency or trade-specific restrictions in the treaty country may detrimentally affect trade volume. Trade between the United States and the Treaty Country. To obtain treaty trader status, the applicant must demonstrate that he is mostly involved in trade between the United States and the treaty country. Therefore, at least fifty percent of the international trade must be conducted between the United States and the treaty country. In addition the treaty trader may engage in domestic or international trade with other countries, but such trade will be irrelevant in obtaining E visa status. Domestic trade within the United States, however, may help to acquire E visa status when the treaty trader’s total trade consists of eighty percent of domestic trade within the treaty country and 20 percent trade between the United States and the treaty country. In this case, 100 percent of the applicant’s international trade is between the United States and the treaty country. 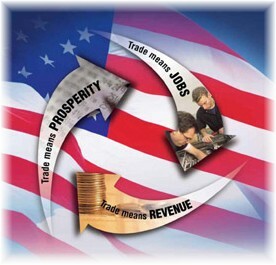 Conversely, when the applicant’s domestic trade within the United States constitutes eighty percent of the domestic trade within the United States and twenty percent of the trade between the United States and the treaty country, only twenty percent of the applicant’s international trade is considered between the United States and the treaty country. To determine eligibility for an E visa, USCIS will evaluate the trade conducted by the legal entity through which the applicant seeks status as a treaty trader. For example, a subsidiary based in the United States will qualify as a treaty trader even if its foreign parent corporation is not conducting trade between the United States and the treaty country. However, merely being an American branch does not create a separate legal entity for E-visa purposes. In addition, to determine the “substantial trade” eligibility requirements, USCIS assesses whether the treaty trader holds title to the goods as well as considers their provenance. The analysis, though, becomes complicated when goods produced in the treaty country are incorporated into a larger product or are sold within this country to be incorporated into a product produced in the United States. Therefore, the assistance of an experienced attorney during the E-visa process is essential.